Fedora 17, which is codenamed the Beefy Miracle, is now up to its alpha milestone with many new features for this exciting Red Hat sponsored release. Dennis Gilmore wrote the Fedora 17 Alpha announcement entitle Meat the Beefy Miracle. "Hot dog! The Fedora 17 "Beefy Miracle" Alpha Release is available! This release offers a preview of some of the best and meatiest free and open source technology currently under development. Relish in a glimpse of the future." There's many "condiments" (a.k.a. features) to the Beefy Miracle, which are mentioned in the many F17 articles. Fedora 17 features range from CloudStack integration to its unified file-system to many other features, but some items didn't make the cut like Btrfs by default. 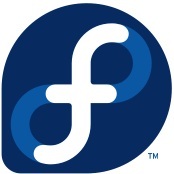 Download the Fedora 17 pre-release from FedoraProject.org. Fedora 17 "Beefy Miracle" will be formally released in May.